Call for price! Not available online. 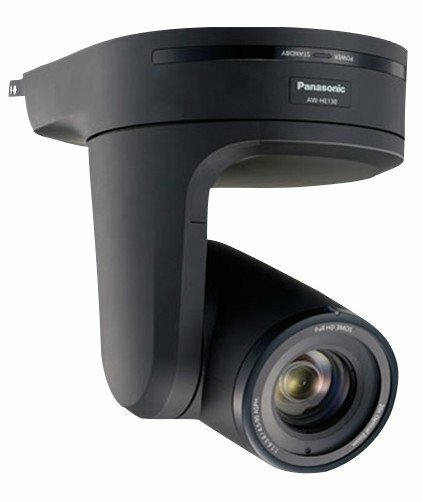 AW-HE130 from Panasonic is a Full HD Camera with integrated pan-tilt providing video output via 3G-SDI or IP Streaming transmission to meet a range of applications. A PTZ camera capable of production quality Full HD video output up to 1080/60 pixel via IP transmission, AW-HE130 is also 3G-SKI and HDMI capable. This camera is equipped with three advanced 1/2.86 MOS sensors for high sensitivity, superior S/N ratio, and high resolution. Use only one LAN cable for power supply, control, and video output with the included POE support. 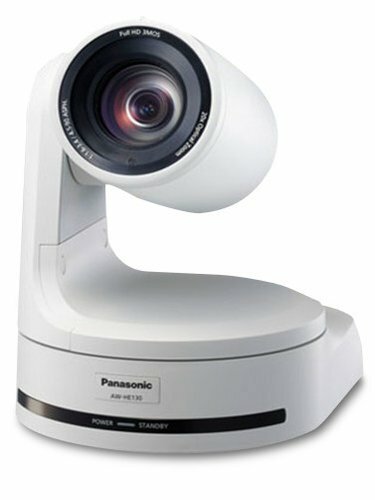 Panasonic is proud to present a new standard in versatile, high-quality remote production with AW-HE130. Dimensions (WxHxD): 7-3/32" x 9" x 9-3/16"
Additional specifications available in the Documentation tab.